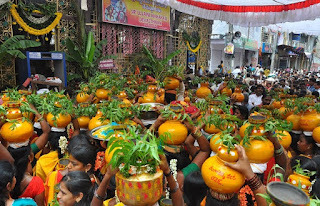 Anant Chaturdashi is celebrated on Chaturdashi of Shukla Paksha in the Bhadrapada month. Anant Chaturdashi is on 29 september in 2012. Anant Chaturdashi will be celebrated on the last day of Ganesh Chaturthi. 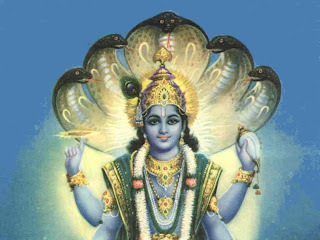 Lord Vishnu is worshipped on this day. It is believed that people who have lost their wealth, glory, respect etc due to any reason, with full respect and belief, tie the holy thread of Lord Ananta. Ganesh nimarjanam will be done on this day. Ganesh idols brought into homes and communities are immersed in to the sea and rivers. On this day, people travel to the waterfront with the idols, large and small, dancing and singing in large processions. Lord Ganesha is departed, only to be welcomed the next year with equal excitement. "Anant Sarv Naganamdhipa Sarvkamada Sada Bhuyat Prasannomain Bhakatanabhayam Karah”.